← Happy 63rd Anniversary, Bam and Papa! Creeeeaaaakkkkk. That sound is my brain struggling to get back into writing form. Not to make excuses, but volleyball, concerts and gorgeous spring weather have conspired to keep me outdoors and super busy. I celebrated my birthday last week with loads of special events: lunch with Bam, Papa and Mom; dinner at Eclipse di Luna; all day concert at Centennial Park with Macklemore and Ryan Lewis, Ludacris and Muse. Whew! Whirlwind! Needless to say, I haven’t done much sewing lately. Mostly just little UFO’s. 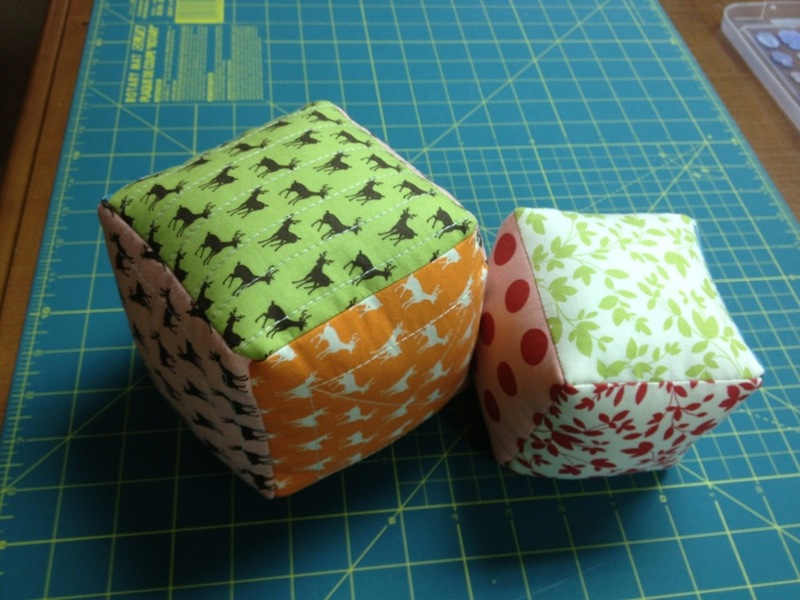 I finished another baby block and pieced one row of the Prince Charming blocks together. I finally completed the hand stitching for the Central Park quilt too! 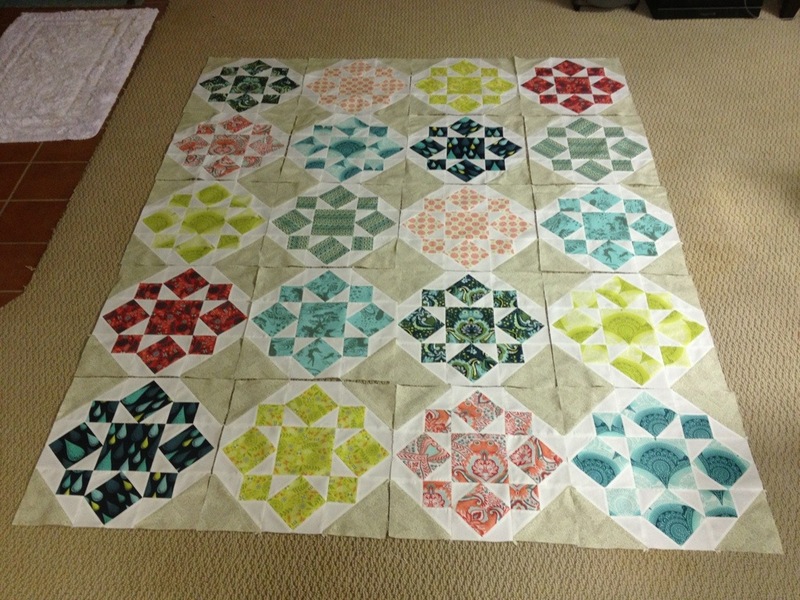 And cut and pieced the binding for the wild quilt top awaiting backing and binding at Little Quilts. (Photos below!) 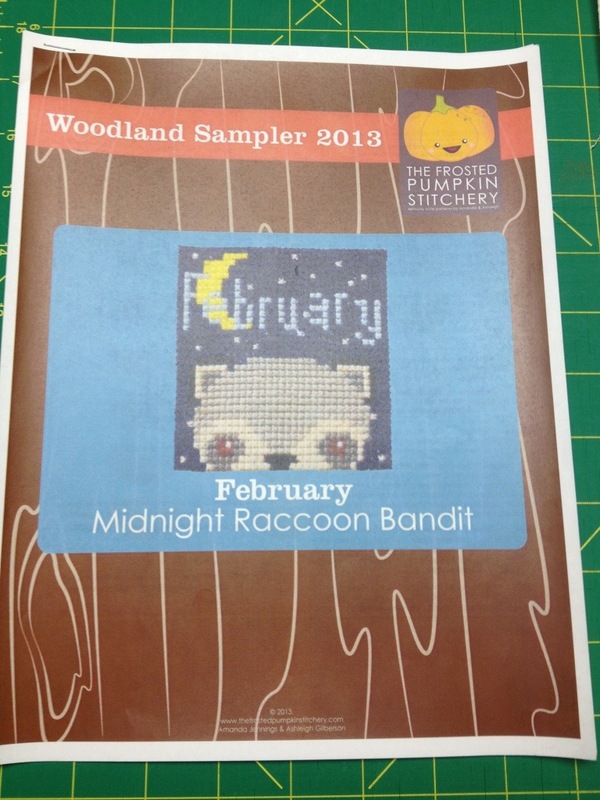 I also planned out a cross stitch sampler that I found online. 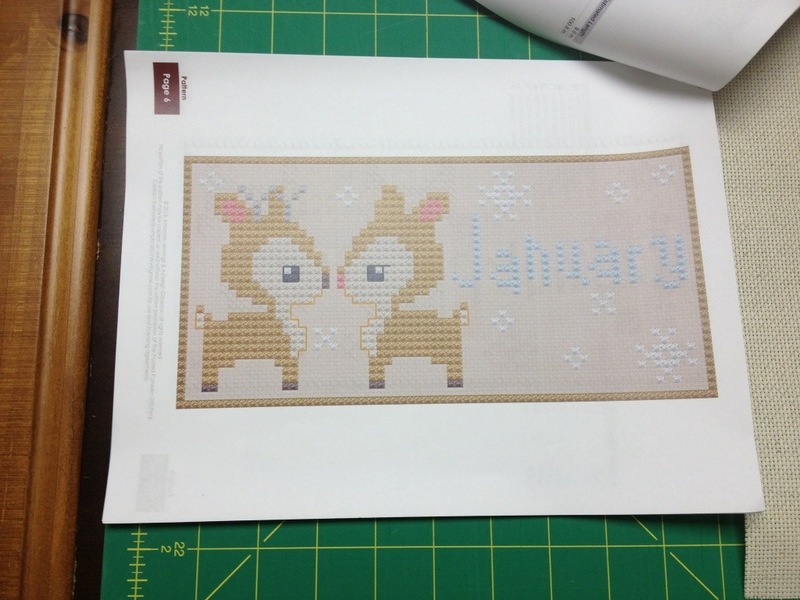 Mom and I both got the kits and plan to do them together at the cabin. So, hmmm, maybe I’ve done more than I thought. 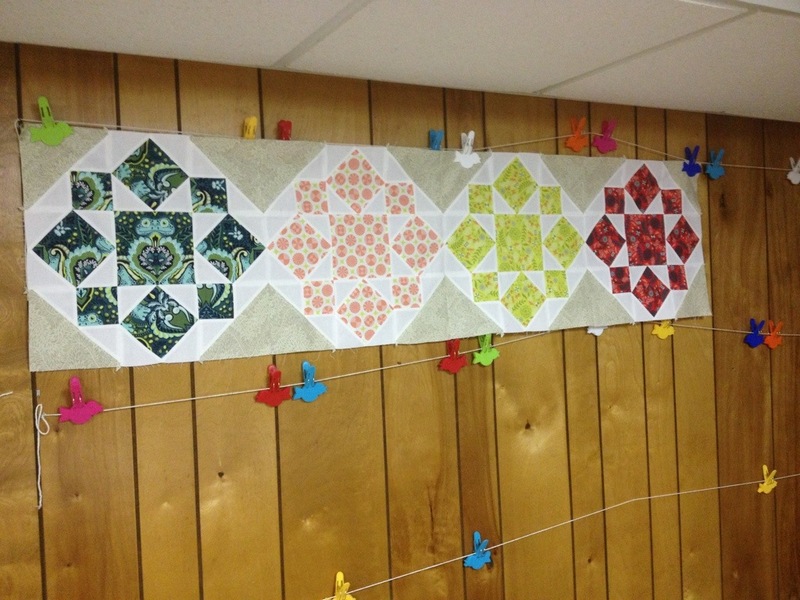 I’m hoping to sew more blocks tomorrow, but I got more birthday plans to prepare for (I celebrate for a good month). Going to Dante’s with the fam! Can’t wait! Bring on the fondue pots! 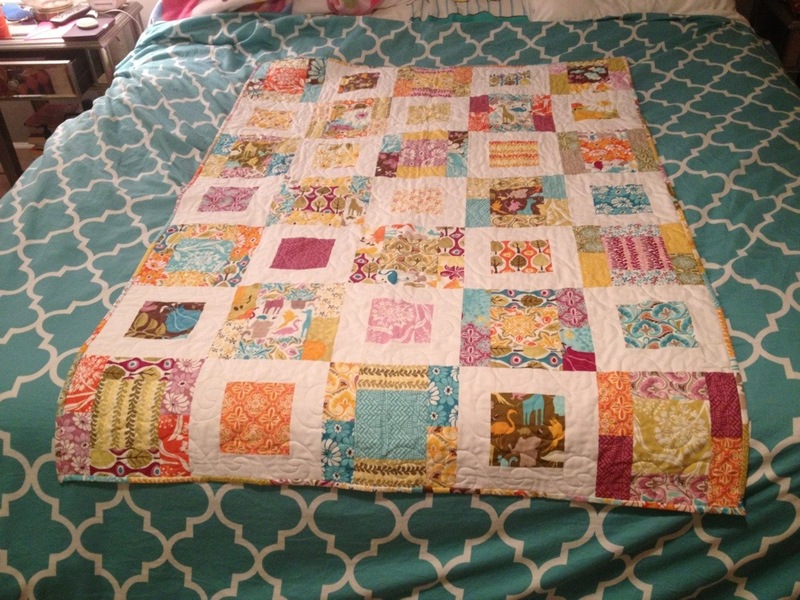 This entry was posted in Family, Girl quilt, holidays, sewing, Uncategorized and tagged birthday, Ludacris, Macklemore and Ryan Lewis, Muse, quilting, sewing. Bookmark the permalink.